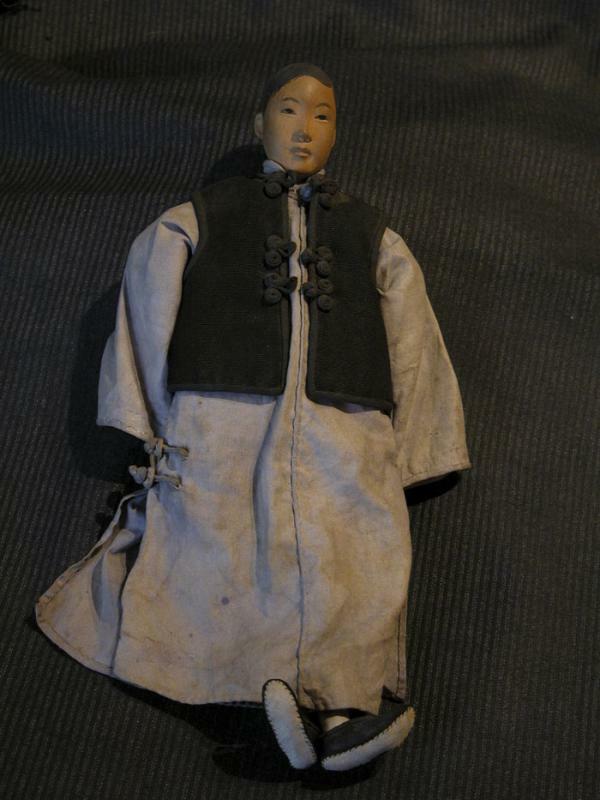 Male doll dressed in several layers of clothing: vest, long coat , shirt, shoes and pantaloons. All clothing is hand stitched. 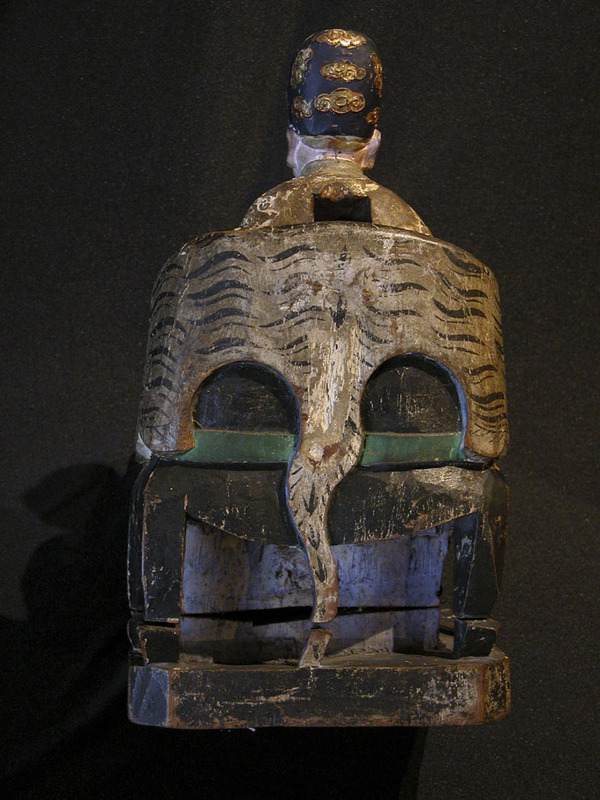 Head and hands are ceramic and painted. 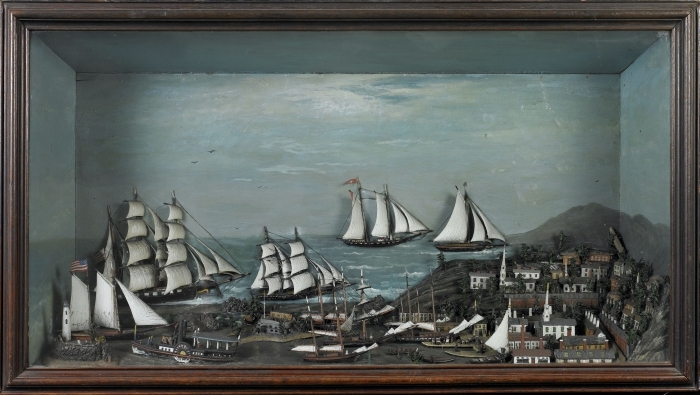 Diorama (or Shadowbox) depicting Newburyport Harbor, Newburyport, Massachusetts, Maker unknown, first half of the nineteenth century. 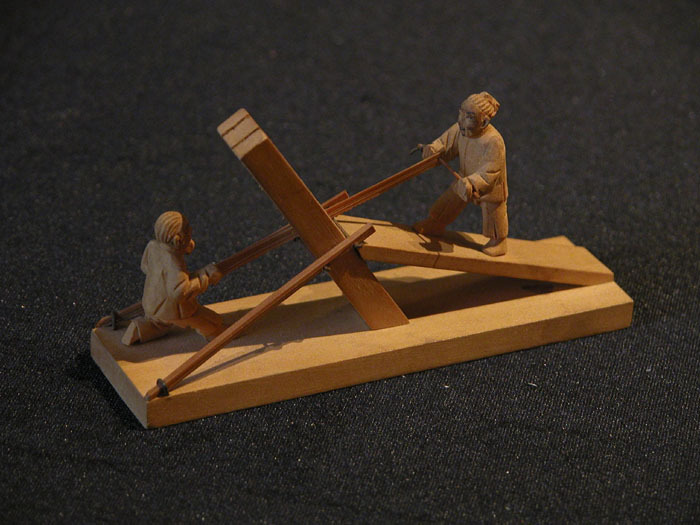 Sandalwood carving of two men sawing, from Canton. Part of series of carvings depicting various aspects of life. 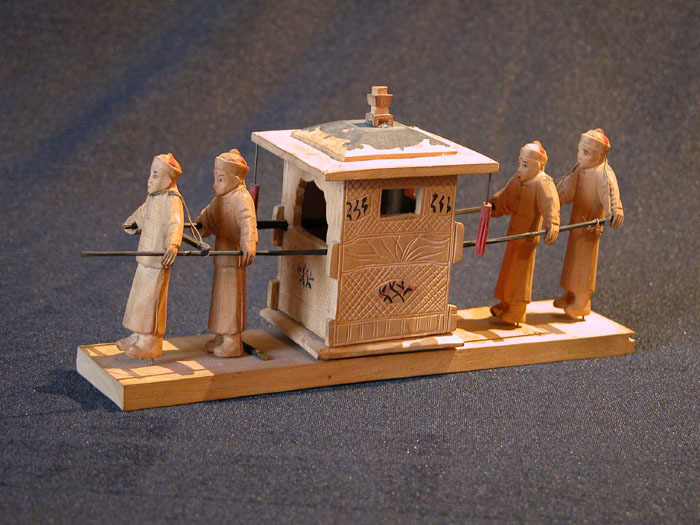 Sandalwood carving of man pushing a hand cart, with a man and woman on board as well as various bundles. 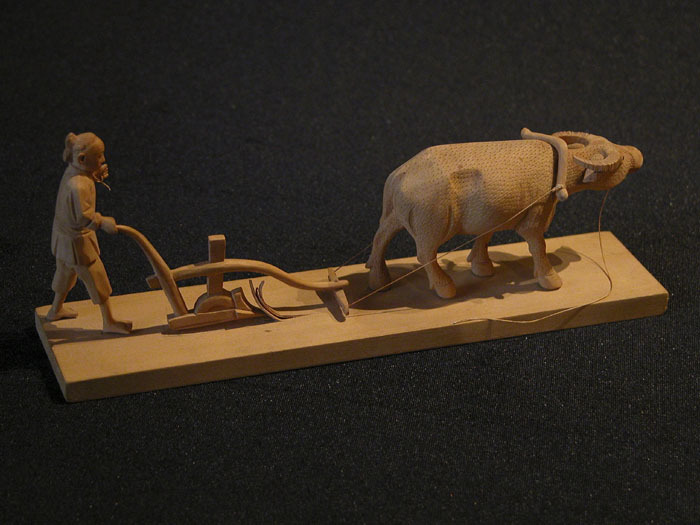 Sandalwood carving of man steering a hand plow pulled by a water buffalo. Part of series of carvings depicting various aspects of life. 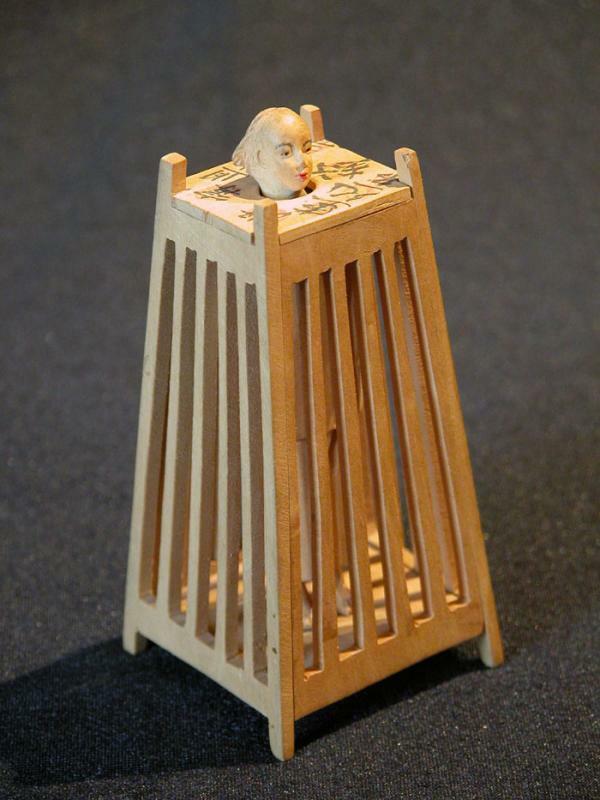 Sandalwood carving of man standing up in a cage with his head outside of the cage and his neck in a wooden lock so he can't sit down. Part of series of carvings depicting various aspects of life. 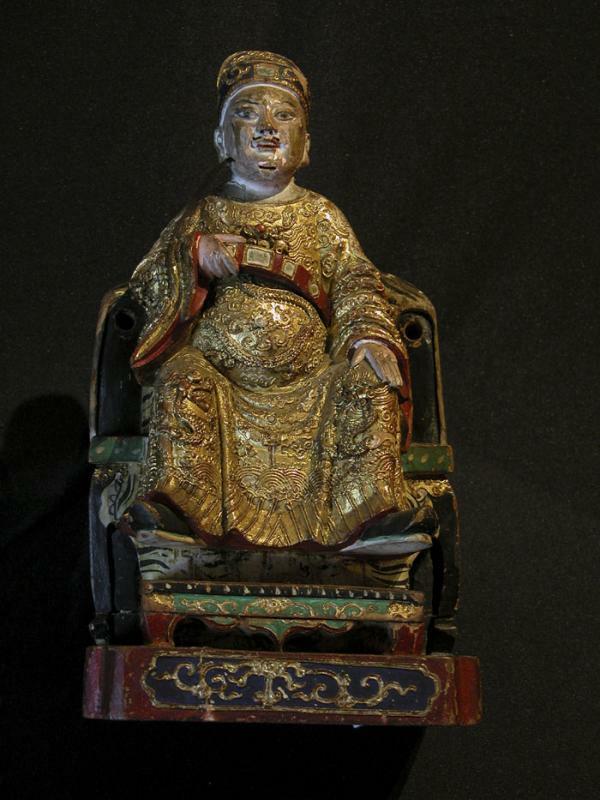 Sandalwood carving from Canton, showing a man in a sedan chair. 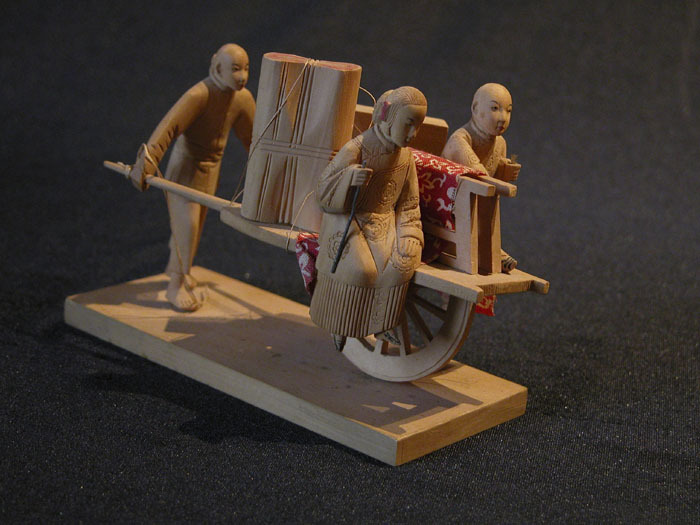 Part of series of carvings depicting various activities of life. Chinese Temple Ornament of Kuan Ti (The Protector of Buddhism). Polychrome wood, c. 1830. Hole in back for offerings. 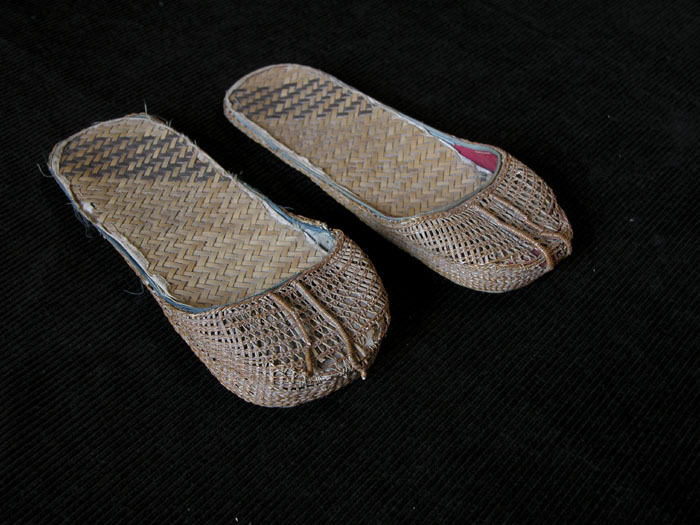 Slippers woven of very thin straw, with cloth and paper pad on bottom. 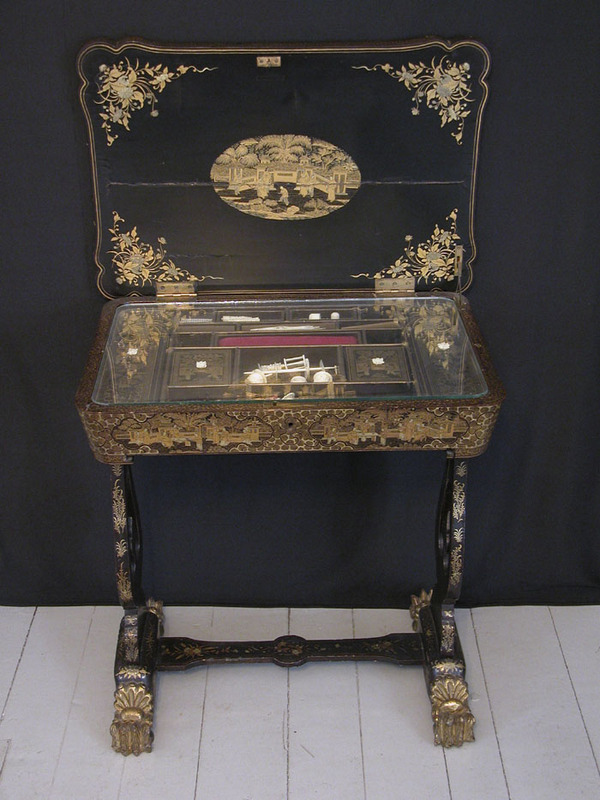 Chinese footed sewing table and box, with gold design over black lacquer and ivory fittings.